The HUGE SALE WEEKEND is HERE!!!! 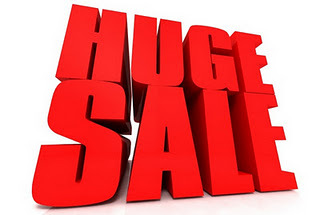 Todays goodies added to the sale list are:- Accessories & Clothing. Endura clothing - discounts on all current clothing!! Blackburn light sets £Crazy savings! 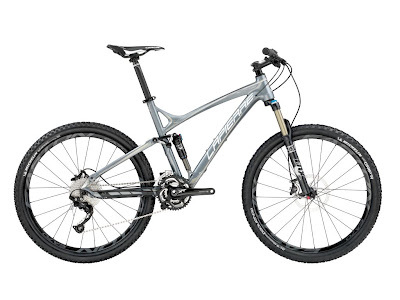 We have just taken delivery of the all new Lapierre X-Flow 412, and very nice it is too!! 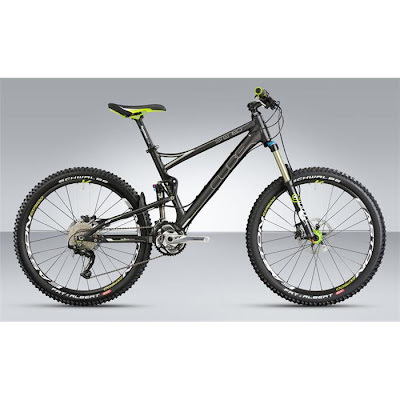 Looking for a new trail bike with around 120mm travel, then look no further..... we reckon this is going to be the trail bike to have for 2012. The X-Flow is a cross country / marathon bike that uses the same Pendbox floating bottom bracket system that was introduced back in 2010 on Lapierre's downhill bikes. This time though, the floating bottom bracket style configuration only needs to deal with 120mm travel in a bid to "totally isolate pedalling efficiency and shock absorption for improved performance"
We've been adding more to the pile of Sale stock for this weekend. Today, it's Frames and Components. Below is a list of just some of the bargains to be had, we're not telling you how much they are - you'll have to come in and find out for yourself! Niner Air 9 Large (Raw) £Cheap! Niner E.M.D. Med (Silver) £Cheap!! RaceFace Atlas AM Cranks & BB - Orange £Very Cheap! Rockshox Sektor RL SoloAir 150mm 20mm Maxle £Proper Cheap Rockshox Revelation RLT Ti 150mm 15mm Maxle Lite £Well Cheap Rockshox Boxxer World Cup £Cheap Cheap!! Rockshox Lyric RC2L £Silly Cheap Ragley Frame Clearout £Dirt Cheap Hope Seatpost and Stems £Chirpy Chirpy Cheep Cheap All Hope Brakes at least 25% OFF!!! Plus loads of bars, stems, saddles, chainrings, Shimano components, BMX bits going (you guesses it) CHEAP!!! Well what a nice suprise that was..... two bikes that aren't supposed to be out until late November just arrived. Cube Stereo Race 18" £2299 And a Cube Stereo SL 18" £2699, if you want this, you will have to be very fast though, it's Matt's bike......... unless we can sell it to any of you eagle eyed customers that have been waiting for one!! Roll up roll up..... everyone form an orderly queue, we've got a SALE on this weekend 29/30th October!!! If you know about your All Mountain bikes, you'll know about the Cube Stereo, and just how great it is!! We did general trail riding around Delamere Forest, uplift days at Cwm Carn and Foel Gasnach, big long rides out in the Peak District and the Lake District, and we loved every minute. For 2012, the SL replaces the Race in the pecking order for Top Dog..... and it's got a nicer spec for this year! Starting with the small things, the SL now comes with a much shorter stem and a wider bar. It also comes with a RockShox Reverb seatpost as standard, and it's had an upgrade on the wheels to DT Swiss Straight Pull set! The rear shock is still a fox shock, but the air can has been reduced in size to provide a much better ride! All in all, the Stereo series of bikes looks set to be another winner for 2012...... I've already ordered mine, you'd better do the same!! Light & Motion Demo - We will be holding a light demo night on Tuesday 18th October in Delamere forest. If anyone would like to attend, please send us an email at the shop info@twelve50bikes.com so we can get a list of people! We will have pretty much all of their lights to try and we will use a demo loop so everyone can try more than one light! While stocks last, we are having a 25% Off SALE on all of our POLAR Heart Monitors and accessories!! We've got a good range starting with the FT2 Fitness model, all the way through to the CS500 CAD TDF Limited Edition. 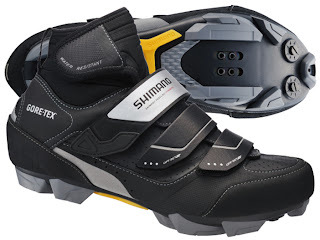 This is the bargain of the year folks...... the brand new Shimano MW81 Winter Boots are now in stock. RRP£149.99...... yours for the BARGAIN PRICE of £119.99...... 20% OFF!!!! Get them while we have good stocks....... buy in store or in the ONLINE SHOP now!!! We have decided to do an October deal on all of our hydration packs!! We have a good range of packs to choose from, and if you don't see what you want, just give us a shout!! Lapierre Zesty 314 2012...... NOW IN STOCK!!! 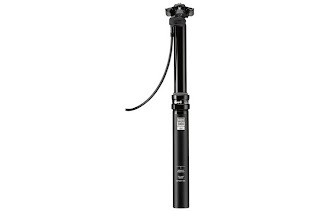 RockShox Reverb Dropper Post 2012, now in stock!! The best dropper post on the market..... well it's true isn't it!! The Reverb gives you either 100mm or 125mm of infinite seat height adjustment and control of your return speed in a hydraulically actuated remote package. A custom sealing system means the plush and consistent feel of this seat post won’t degrade no matter how much the weather does. The 2012 Reverb now comes with the new Enduro Collar allowing you to limit the maximum travel of the post. Please note all our RockShox Reverb Seat Posts are genuine UK boxed product complete with Enduro Collar to limit travel, bleed kit and full UK Warranty. If you want to buy one, visit the ONLINE SHOP now or pop into the shop to see us! !